What would you do, if you were in the world of candies? Like any other child, you would definitely collect them. However, you need to get only required candies, so look at the top of the screen and remember the sequence! Watch these colored tiles, with eyes wide open! These are not just tiles, but colored candies, that have the sweetest taste. Match three similar tiles with each other and collect them. 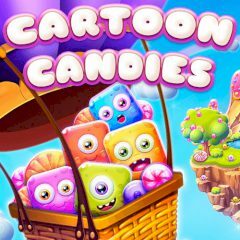 Every level asks you to collect the required amount of candies within the limited time. Can you do that and get three stars? Remain attentive and increase your points!